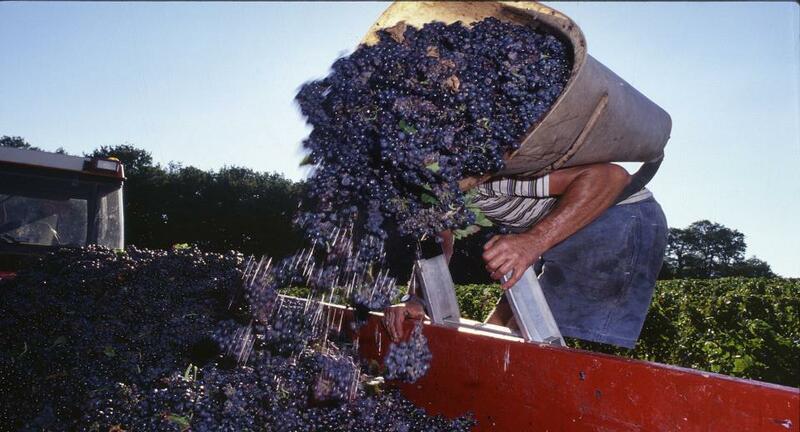 The South West of France is the 5th largest vineyard area in France with 47 000 hectares of vines. It cups Bordeaux to the south and east (of the right bank), extends to the Atlantic Ocean to the west, and continues south to the Spanish border and the Pyrénées mountains. The region is often a little too neatly summed up as being a cheaply priced Bordeaux alternative. While many good value Cabernet Sauvignon and Merlot blends are to be had from places like Bergerac and the Côtes du Marmandais, there is a wealth of other grape varieties and wine styles out there. There are 29 designated AOP (protected appellations) and 14 IGP (vin de pays) growing areas. As well as the two mentionned above, the best known appellations, and easiest to find on most international markets, include: Madiran and Cahors (best known for their big, bold reds), AOP Fronton (lighter, violet scented reds), AOP Gaillac (where everything from still to sparkling to sweet white, rosé and red are crafted) and AOP Jurançon (where prized late harvest, sweet white wine is made). The largest territory however, is that of IGP Côtes du Gascogne, where crisp, lively, easy drinking white wines are the mainstay. Due to the proximity of the Atlantic Ocean, these wines often take on an intriguing saline note that adds to their refreshing appeal. Given the size of the region and the diverse climate conditions and soil types, it is only natural that the grapes that grow well in one area are not suited to another. Over 300 different varieties are grown here, with just over half native to the area. The majority of AOC wines, and many IGP wines are blends. I will give you a quick over view of some of the major players, and where to find them. Colombard – a major player in the production of IGP wines like Côtes de Gascogne and also in in the digéstif Armagnac. When over cropped it produces a fairly neutral white. The best examples have intense exotic fruit aromas, light body and moderate acidity. Gros Manseng – a major blending component in many IGP Côtes de Gascogne, as well as dry Jurançon and Pacherenc du Vic-Bihl whites. Gros Manseng gives vibrancy and spicy notes. 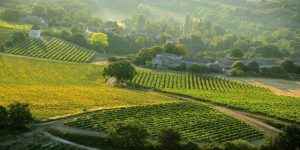 Mauzac – adaptable to a wide variety of wine styles, it is used for sparkling, and still, dry and sweet wines, principally around the Gaillac area. It gives fresh orchard fruit in youth, and honeyed notes with age. Petit Manseng – related to Gros Manseng, this grape has smaller berries with thicker skins, generally producing wines with greater aromatic complexity. The grape has the ability to produce high sugar levels while retaining fresh acidity; perfect for the sweet Jurançon dessert wines. Sauvignon Blanc – used either as a single grape, notably in IGP designations, and as a blending element in several AOPs (Béarn, Tursan, Pacherenc du Vic-Bihl). The grape gives its characteristic citrus, gooseberry, cat pee notes as well as vibrant acidity. Cabernet Sauvigon – A second stringer in the South West. It provides fragrant cassis notes, firm tannins and deep colour. It is found in the same appellations as Cabernet Franc. Duras – One of the most oldest grapes grown in the Tarn Valley. It is a major player in Gaillac, giving finesse, deep colour, moderately firm tannins and a fruity, peppery perfume. Fer Servadou (Fer, Pinenc, Braucol, Mansois) – Similar aromatics and structure to Cabernet Sauvignon. Blending component in many appellations, notably Marcillac, Béarn & Gaillac. Gamay – Off spring of Pinot Noir, the Burgundian grape Gamay is bright, fresh and very red fruit driven. It is a blending component in Gaillac and many surrounding appellations. Malbec (Cot) – Originally from the South West, Cot (as it is called there) is the principal grape in the Cahors appellation. It produces densely coloured, full bodied, structured wines with black fruit aromatics, moderately fresh acidity and firm, chewy tannins. Well crafted versions have great aging potential. Merlot – Also offspring of Cabernet Franc (like Cabernet Sauvignon), Merlot makes an excellent blending component due to its fleshy mid-palate, rounded tannins and fragrant plum aromas. It is notably grown in Cahors as a minor blending component. Négrette – The major grape of the Fronton appellation. It is a parent to Malbec. Négrette brings attractive violet notes, and sometimes animal and leather undertones. Fruity and medium bodied with moderate tannins, it is an ideal grape for rosé and easy drinking reds. Syrah – A blending component in appellations like Fronton, Syrah brings elegance, fine tannins, black fruit and spiced notes. This blend of 55% Negrette, 25% Syrah, 20% Cabernet Franc is just delicious. Attractive aromas of plum, kirsch and pepper on the nose. The palate is lively, medium bodied, showing moderate depth and complexity, with lingering dried fruit, floral and pepper flavours. Firm, yet ripe tannins frame the finish. The cedar oak imprint is quite subtle. Consistent high quality is a feature of this estate. A blend of 80% Tannat and 20% Cabernet Sauvignon, this big, brooding red features complex aromatics of cherry, spice, prune and dark chocolate. Full bodied, densely structured yet velvetty on the palate, with chewy tannins and harmonious cedar oak. Long, layered finish. Made from 80% Petit Courbu, a little known grape from the obscure appellation of Pacherenc du Vic Bilh, this cuvée is absolutely worth discovering. Smoky citrus notes feature on the nose. Fresh, long and layered on the palate with lots of creamy lees character and well integrated toasty oak. Very stylish! Attractive aromas of fresh red cherries, with floral and spice undertones. Medium bodied, with lively, balanced acidity, firm tannins and subtle oak. No great aging potential, but pleasant every day drinking quality. Pleasant earthy, animal notes on the nose, underscoring the fresh red and black fruit aromatics. Fresh acidity, full body, with attractive spiced, oak notes on the finish. This cuvée falls down a little on the finish due to the green, bitter edge on the tannins. At only 10.5% alcohol, this is a great option for an every day house white. It is light, refreshing, crisp and lively, with lots of citrus and floral notes. Fairly simple, but nice for the price. I met Paul-Henry in 2005 when he was studying viticulture at the Lycée Viticole de Beaune and I was studying international wine commerce at the Beaune campus of the AgroSup Dijon. Amid the giddiness of his wine loving, party oriented crowd, he stood out from the pack. He knew how to let loose, but was just a shade quieter and wiser than the others; a bit of an old soul. We became fast friends; eating and drinking our way through Burgundy, the Loire and later South Africa. Though he was too humble to brag about it, Paul-Henry stood to inherit a 40 hectare estate in Menetou-Salon; an AOC region in the extreme east of the Loire Valley, near Sancerre. In 2007, when his friends were heading off for overseas harvests and oenology degrees, Paul-Henry set out for home. He was to take up his responsibilities in the vines and the cellar; just 22 years old and already head of the estate. His father had passed away when Paul-Henry was only 10 years old. 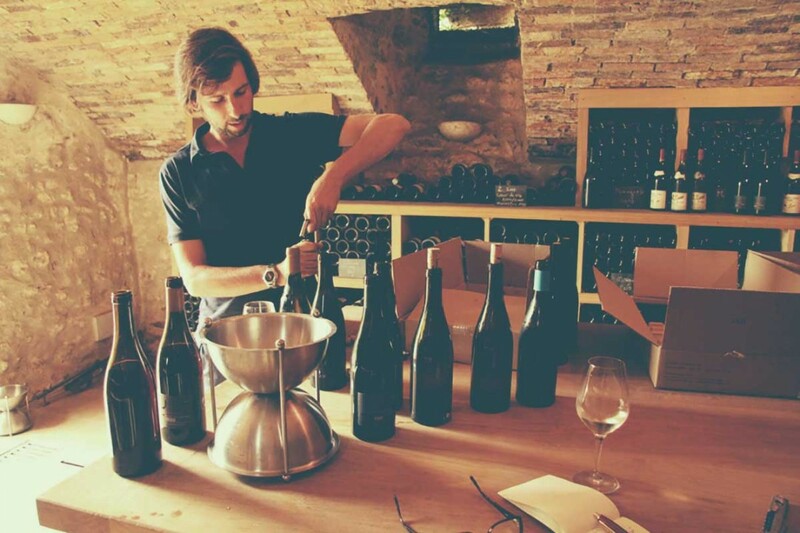 Since then, his mother had kept up the domaine’s excellent reputation with the help of a top quality hired oenologist, awaiting the next generation’s coming of age. Paul-Henry took up his charge with quiet dignity, rising to the challenge of managing staff who had known him since he was in diapers. Over the next couple of years, I visited Paul-Henry a number of times for meals at the legendary C’heu l’Zib in Menetou-Salon (a hearty and animated, family-style Berrichon restaurant), for Paul-Henry’s legendary summer Garden Parties and, most importantly, for tastings at the winery. The Domaine Henry Pellé, named for Paul-Henry’s grandfather, is based in the village of Morogues. It is a pretty spot with stone houses and a lovely, old church, surrounded by green meadows, vineyards and forests. The Pelle’s Sauvignon Blanc and Pinot Noir vineyards are dotted through the communes of Morogues, neighbouring Menetou-Salon and Sancerre. As modest as ever, Paul-Henry would tell you that the poise and complexity of his wines is all due to terroir; Kimmeridgean clay-limestone marl soils made up of vast multitudes of fossilized oyster shells (locally called Terres Blanches). His first act upon returning home was to cut out all pesticides and herbicides, and start nourishing the soil with homegrown composts. His time in Burgundy had convinced him of the importance of working each parcel individually, to achieve a unique expression from each plot. The same rigour is employed in the winery. Wherever possible grapes move to fermenting tanks by gravity flow and conveyor belts to avoid harsh pumping. Fermentation is temperature controlled in stainless steel and neutral oak vats. The top white cuvées are aged on their lees for added texture, while the top reds see subtle barrel ageing. The wines are then bottled unfiltered to preserve their aromatic purity. Paul-Henry will tell you that his goal is to craft fresh, lively, balanced wines. But his best wines go so much further. They are elegant and intensely aromatic; an enticing procession of fresh, vibrant attack, creamy mid-palate and lifted, mineral-rich finish. Les bornés means clay soil in the local Berrichon dialect. This easy-drinking white is aged 6 months in stainless steel on fine lees. The 2014 vintage is crisp and refreshing with intense aromas of citrus and quince. Light bodied with a hint of creaminess on the mid-palate and a lifted finish. A blend of 7 parcels from among the highest altitude slopes of the appellation, this Menetou-Salon is pure and racy, with a refined citrus fruit and white floral nose. More depth and textured than Les Bornes, this cuvee has a subtly saline notes on the palate and a lively, mineral-rich finish. Les Blanchais is a single parcel cuvée from one of Pellé’s top vineyard sites in Menetou-Salon. The clay-limestone marl is interspersed with silex; a complexity of soils that Pellé feels speaks through the wine. The 50 year-old vines lend power and concentration, with intense citrus, grassy, floral and mineral notes on the nose and palate. There is a pleasing fullness to this wine, and a long, layered finish. Still taut, needs a few years’ cellaring or a couple of hours decanting to fully unwind. So, while living in France, surrounded by stunning vineyards and oceans of incredible wine, is fantastic…. The downside is the lack of diversity. Not only can you not find Italian or Spanish wines, it is hard to get wines from other regions of France. My mission since arriving back in Canada has been to taste widely, at all different prices…because I can! Here is a mishmash of what I’ve been drinking this week (don’t worry, I have friends. I didn’t finish all these wines myself). We start our tour in Australia. D’Arenberg is an excellent winery in the McLaren Vale region of South Australia. They are probably best known for their deliciously juicy Shiraz and Grenache offerings. I was intrigued by this interesting white blend: Riesling and Sauvignon Blanc, both known for their light body, bracing acidity and purity of fruit aromas, blended with Marsanne and Roussanne, Rhône varieties that offer elegance and rich, nutty flavour (Marsanne), body and structure (Roussanne). Over to New Zealand for some….you guessed it…Sauvignon Blanc! No trip to the liquor store in the summer seems complete without coming face to face with a display of Kim Crawford, so I figured I should give it a swirl and see what all the fuss is about. 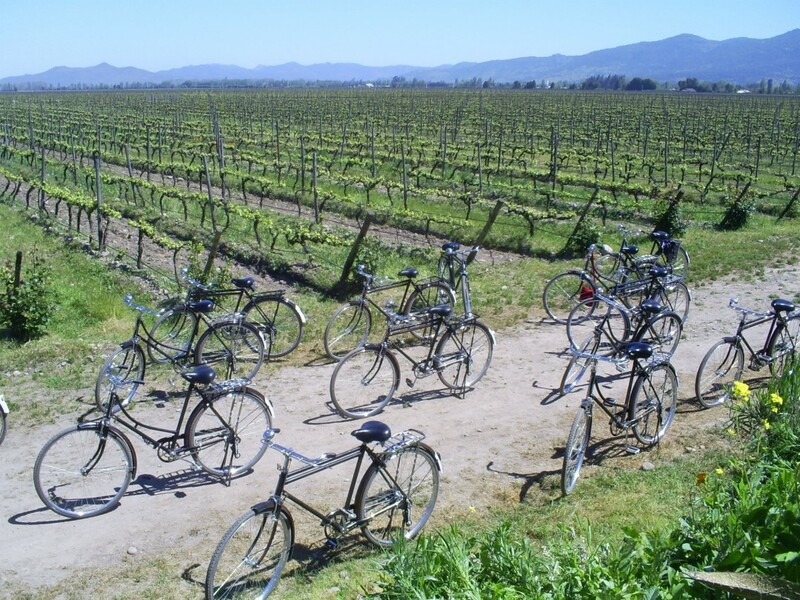 Marlborough is New Zealand largest and best known wine region. The combination of cool nights, hot days, low rainfall and free-draining, moderately fertile soil makes for racy, intense Sauvignon Blanc with exuberant tropical fruit, citrus and grassy profiles. On to Chile, to taste Cono Sur Viognier. Renowned for their excellent value wines, Cono Sur is also a leading name in sustainability. The Viognier grape becomes notoriously flabby and oily when grown in overly hot climates where acidity levels aren’t high enough to balance the fruit and alcohol. 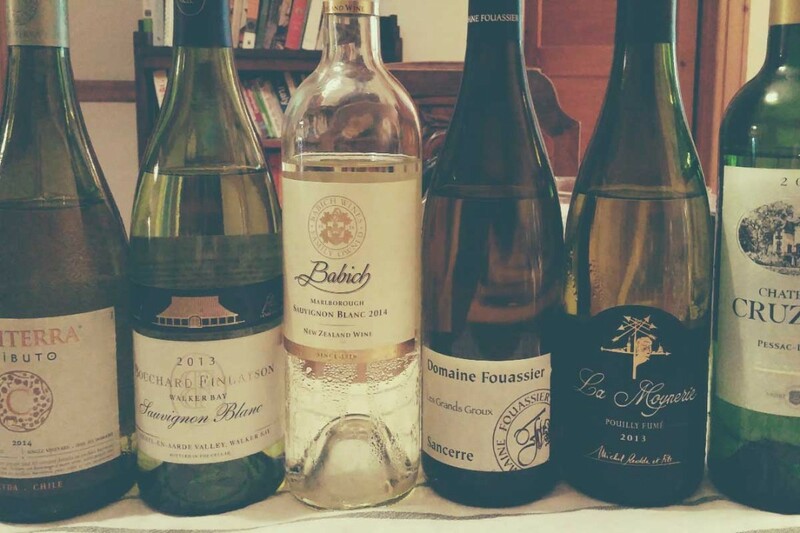 If handled correctly however, Viognier is the poster child for lush, hedonistic whites. At a mere 10$ a bottle, I was curious to see what this wine would offer. 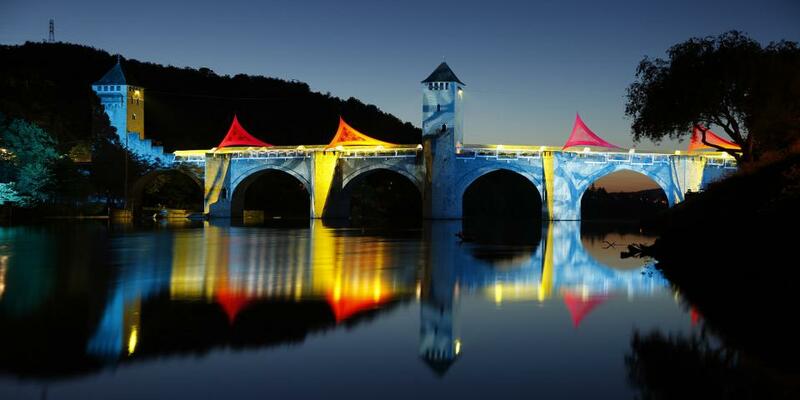 Next up, the Loire Valley in France, with the classic summer seafood wine: Muscadet. La Cave du Coudray “Réserve du Chiron” is a « Sur Lie » style, meaning that the wine has spent time in contact with the dead yeast cells, a process which imparts a rich, creaminess to the wine. Classic Muscadet is lean and dry, with refreshing acidity, lots of minerality and a creamy mid palate. Italy has become known for their Pinot Grigio whites in recent years. Unfortunately, the popularity of this grape has led to mass production and some fairly neutral, boring wines. Masi, a highly respected Veneto producer, offers an interesting twist with their “Masianco” white by blending in Verduzzo. This little known grape, native to North-Eastern Italy, is fresh, with herbal and honeyed notes. I wanted to see what the Verduzzo would bring to this Pinot Grigio. Last stop Spain. While Rioja is well-known for its savoury, full bodied reds, the whites generally go unnoticed. And this, despite the fact that until 1975, more white than red was purportedly planted in the region. The El Meson Rioja Blanco is 100% Viura (aka Macabeu in southern France, or Macabeo in the rest of Spain). This grape is often associated with neutral, mass produced wines. However, when not overcropped, and picked early, it can offer crisp, lively wines with great minerality and a pleasing honeyed note. What do VW, PW & LW mean? Click on my scoring system for the answer. Medium, yellow gold. Intense nose of green apples and citrus with floral and exotic fruit undertones. Fresh and vibrant; just shy of medium bodied with moderate alcohol, a touch of residual sugar and a zesty finish. Easy drinking, yet fails to highlight the individual character of the grapes in the blend. Pale, straw yellow. Lively and refreshing, with aromas of lime, gooseberry, passionfruit and underlying herbal notes. Dry, light bodied and crisp, with moderate alcohol and a smooth, citrus dominant finish. Very pleasant, but for the price it lacks individuality and complexity. Pale, white gold. Heady aromas of candied peach, tropical fruits and floral notes. Lush, medium bodied with moderate acidity, and juicy fruitiness throughout. A touch of bitterness and heat on the finish but, at this price, still represents killer value. Pale, yellow gold. Delicate aromas of citrus and melon with subtle minerality. Dry and balanced, with fresh acidity, a subtle, creamy lees note on the mid-palate and moderate alcohol. Citrus and mineral notes on the finish. Lacking some depth and richness for a Sur Lie offering, but overall worth picking up at bottle at this price. Pale, white gold. Delicate floral aromas with undertones of pear and honeydew melon. Crisp, light to medium bodied with a smooth, rounded texture and hint of juicy sweetness on the finish. A versatile wine; easy to pair with light summer fare. Fair value. Pale yellow gold. Restrained nose with hints of honeysuckle, lemongrass, peach and grassy notes. Dry, zesty and lean, with lots of juicy peach and citrus, good balance and a lifted, lightly mineral finish. A perfect, aperitif wine for hot summer days. Highly drinkable.